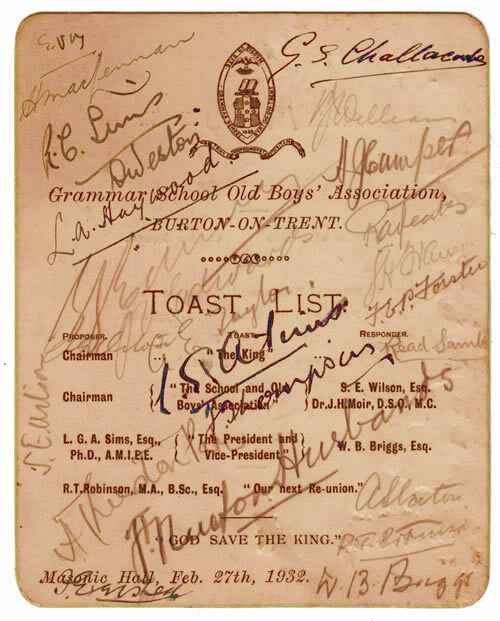 In 1932, the OBA Annual Dinner had moved to the Masonic Hall at the bottom of Ashby Road. 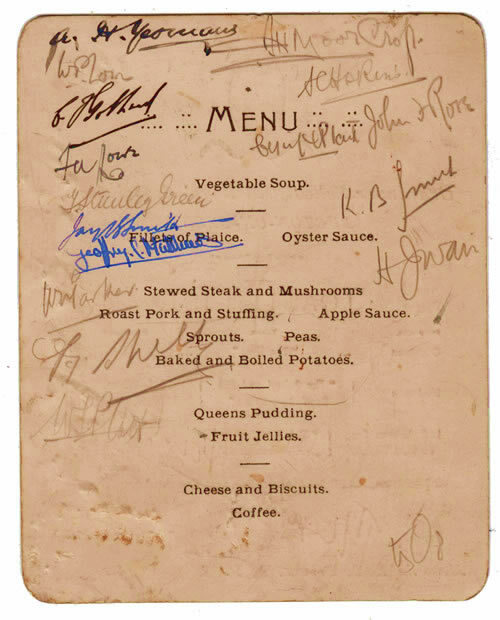 Amazingly, a menu signed by most of the attendants has survived from the event over 80 years ago. Sydney Ernest Wilson was Headmaster, though R.T. Robinson (retired) still held court. The toast is to King George V.